Dispute resolution in the UK is in the midst of significant change, not least due to the uncertainty created by Brexit. The unveiling of the new Business & Property Courts in October 2017 incorporating the Com­mercial Court, the Admiralty Court, the Technology and Construction Court, the Financial List and the courts of the Chancery Division (including those dealing with financial services, intellectual property, competition and insolvency). The use of electronic working in the major courts in London was introduced in April 2017 allowing claim forms, statements of case and witness statements to be filed electronically at any time of the day or night. Planned changes to procedure to address the steadily increasing costs of litigation; a voluntary capped costs regime for claims up to £250,000 (approximately 21,570,000.00 Indian Rupee2) and, amendments to the disclosure process proposed by a working group led by Lady Justice Gloster to address the considerable cost and burden of the current disclosure process. The scope of the right to legal professional privilege has continued to exercise the courts as they maintain a narrow approach to the definition of who constitutes a ‘client’ for the purposes of legal advice privilege3 (the privilege that arises in non-contentious situations). In May 2017 the High Court took a similarly restrictive approach when considering whether and at what point litigation privilege applies to a claim brought by a regulator in the context of both criminal and civil proceedings. That decision will be the subject of an appeal in late 2018 and we await the Court of Appeals’ judgment with interest. Arbitration and ADR continue to prove to be very popular methods of dispute resolution and the courts continue to show that they are willing to support these alternative methods of dispute resolution. Litigation funding continues to grow with the courts increasingly accepting its place in the litigation landscape and we discuss this in more detail below. Class actions are developing a higher profile than previously in competition matters as a result of the Consumer Rights Act 2015, although, The Competition Appeals Tribunal which deals with such cases has adopted a fairly restrictive approach to these cases to date. We also expect that data related litigation is likely to increase in the areas of privacy, data protection and cyber security. Many of these cases will have a significant cross – border element. Has Brexit already had any impact on the UK as a dispute resolution destination? We are not seeing any significant impact of Brexit at the moment, although there are signs that this is beginning to alter. This is probably because everyone is still trying to address the legislative uncertainty regarding what the decision to leave actually means as without a defined plan from the UK government we have no clear idea what the position will look like following Brexit day. What we do know, and this is the basis upon which we are advising our clients, is that current EU rules will continue to apply until the negotiations between the UK and the EU are finalised and may continue to apply if the government’s proposed European Union Withdrawal Bill (“EUW Bill”) is enacted. The EUW Bill proposes the enshrinement of EU law into UK law on the day that the UK actually leaves the EU. The aim is prevent a legal lacuna once Brexit occurs, although, this will depend on the outcome of the negotiations. In its Future Partnership Paper outlining the future of cross border dispute resolution, the UK government has ‘mirrored’ the European Commission’s proposals that applicable EU law should apply to matters which are on-going on Brexit day. For example, this could mean that on the date of withdrawal EU rules on jurisdiction and recognition and enforcement of judgments should continue to govern any pending judicial proceedings and procedures. In addition, the relevant provisions regarding choice of law should continue to apply to contracts concluded before the withdrawal date, and (regarding non-contractual liability) to events which occurred before the withdrawal date. Likewise, judicial cooperation procedures that are on-going on the withdrawal date should continue to be governed by the relevant provisions of EU law applicable on the withdrawal date. These proposals are sensible and will, if agreed, provide much needed certainty for business. Parties are however well-advised to take practical steps to help reduce the risks that the decision to leave could give rise to in relation to cross border disputes. For example, parties who are negotiating contracts should think carefully about their dispute resolution and governing law clauses; these clauses should be drafted to make clear which courts are to have jurisdiction in the event of a dispute and which law is to govern the contract. If English governing law was ‘right’ for the parties pre-Brexit it is ‘right’ to apply that to your contract post-Brexit especially as the rules on choice of law will continue to apply. However, the position on jurisdiction and enforcement is more complex. We are seeing subtle changes being proposed by industry bodies. For example, ISDA, the International Swaps and Derivatives Association, has recently announced that although the majority of its ISDA Master Agreements entered into between counterparties based in the EU or EEA are governed by English law, it will be drafting French and Irish law governed Master Agreements as additional governing law options, along with French and Irish court jurisdiction clauses to manage the fact English court judgments will not be automatically recognized in EU/EEA countries4. We are advising our clients to look at their jurisdiction clauses carefully and if they provide for exclusive jurisdiction of the English courts to consider whether this will still be appropriate on Brexit – the key factor here will often be the risk that enforcement of an English court judgment under the relatively quick European regime will no longer be available. Clients should be aware that arbitration will not be affected by the vote to leave and consideration should therefore also be given as to whether arbitration would be a better method of dispute resolution. Arbitrations seated in England remain in good health not least due to the excellent reputation of the Commercial Court in supporting arbitration but also as a result of the popularity of English law as the choice of international parties to govern their contracts. What effects is Brexit likely to have on that front? Most commentators in the UK think it is unlikely that Brexit will have a big effect on the UK as a dispute resolution destination and so far the statistics support this contention as does the anecdotal evidence from our clients. In 2017 English law was used in 40% of all global corporate arbitrations and 70% of the cases in the Admiralty and Commercial Court were international in nature5. The judiciary and the government have indicated that the UK courts are ‘open for business’ and will continue to lead the way in international dispute resolution. There is every reason to be upbeat and positive about the future. However, the current measures in relation to jurisdiction and enforcement of judgments that presently exist between EU and EFTA member states do provide a degree of certainty on important issues that often arise between parties litigating disputes with a cross-border element. Brexit will undermine that certainty although the extent to which it will do so will depend on the steps taken by the UK Government to address the position and the speed with which it is able to do so. Generally, disputes between parties who are both based in EU member states, where the subject matter of the dispute ‘relates’ to an EU member state, are unlikely to be affected by Brexit. The existing EU Regulations will continue to apply to these disputes where relevant, as will the relevant Regulations relating to service of documents and the taking of evidence. One caveat to this however, is where the parties have agreed to the exclusive jurisdiction of the English courts. As discussed above, this could create a risk regarding the speed with which any judgment of the English court will be enforced in a remaining EU member state. If non-exclusive jurisdiction of the English courts has been specified then the party bringing the claim will be able to consider this and decide where it will need to enforce any judgment it obtains, issuing the claim in the jurisdiction most applicable to its needs. Disputes between parties outside the EU, where the subject matter of the dispute has no connection with a member state, are unlikely to be affected by Brexit. Where relevant, existing common law principles, statutes, agreements and/or Conventions concerning these disputes will continue to apply. However, disputes where one party is based in the UK and the other party is based in an EU member state, or the dispute itself has some connection to an EU member state, may be affected by Brexit. Much depends on the specific facts of the dispute, where the proceedings are issued, and more importantly on the arrangements entered into by the UK on any withdrawal. Even if the UK adopts all EU legislation relevant to cross border disputes as envisaged by the EUW Bill, it will not be known what status the existing EU member states will give the UK. For example in relation to jurisdiction will they treat the UK as a de facto member state or will they treat the UK as a third state? This will be important for example in relation to the rules on lis alibi pendens where an EU Court that is first seized of a dispute in breach of a jurisdiction clause for another EU Court must currently stay those proceedings in favour of the other court. At the time of writing it seems likely that the current EU Regulations governing choice of law in contractual and non-contractual matters (Rome 1 and Rome 2) will be incorporated into UK domestic legislation providing continuity in the area of governing and applicable law, and in its Future Partnership Paper, the UK government has reflected the European Commission’s proposals that on the date of withdrawal applicable EU law should apply to matters which are on-going as of that date. This will provide much needed clarity for the parties involved in these matters if agreement can be reached on this issue with the other EU member states. Overall, the picture remains one of uncertainty at this stage. Although the UK has voted to leave the EU and Article 50 has been triggered, it will still be some time before there is likely to be any clarity on how civil justice cooperation measures currently in place with EU member states will be affected. Are arbitration centres such as the LCIA likely to be impacted? Arbitration, and therefore by default, arbitration centres are unlikely to be impacted in any significant way by Brexit. This includes those based in London such as the LCIA. This is because arbitration is outside the scope of the EU Regulations that impact cross-border dispute resolution. Indeed it is possible that parties will be more likely to adopt arbitration clauses for contracts with an EU element rather than risk the potential uncertainty of litigating in the post-Brexit landscape. For example, enforcement of any UK court judgment in an EU member state following Brexit could be affected whilst the enforcement of any arbitral award will not be, even if it is made in the UK. What can Indian companies doing business in the UK do to prepare for Brexit, from a disputes perspective? Many Indian companies are well versed in using arbitration clauses in their international contracts and, as set out above, these will not be affected by Brexit. English law and English seat remain a popular choice for Indian parties when entering into arbitration agreements. Where Indian suppliers are entering into contracts in the UK, they may well find themselves having to enter into jurisdiction clauses for the English courts with English customers but this should not be a problem in most cases. More care may need to be taken where the contracts are entered into to provide services in the UK with companies based in EU Member States; consideration should be given to how any disputes might arise, which party is most likely to bring the dispute and where the assets of that party are located if a subsequent court judgment needs enforcing. It may be that a clause providing for the exclusive jurisdiction of the English courts is no longer appropriate and instead non-exclusive jurisdiction between the English courts and courts of a number of other member states will be the right choice. However this will need to be considered on a contract by contract basis. How are competition law disputes likely to be effected by Brexit? England is one of the leading jurisdictions for the private enforcement of competition damages, especially in relation to claims suffered as a result of cartel activity. Claims can be brought as “follow-on” claims against the cartelists in England and other EU courts which means that a European Commission decision on cartel infringement is binding on the UK courts. It is possible that after UK withdrawal from the EU the Commission’s decision may carry less weight than previously and may only be treated as persuasive by the English courts; judges may be able to take their own view on the evidence and come to a different view on the law. The exact impact will depend on how Brexit is finally implemented by the government. However, in those circumstances, competition litigation in England may become less attractive to companies outside the UK who are currently keen to find an anchor defendant in the UK to take advantage of its enforcement friendly environment, as they may well need to bring a “stand alone” claim requiring them to establish liability rather than relying on the finding of the Commission to do so. This will significantly alter the risk profile for claimants and importantly for third party funders who are financing a material proportion of the competition litigation in the English courts. Further, the Recast Brussels Regulation may no longer apply in the UK which may increase the risk of parallel proceedings on the same or similar facts in different EU jurisdictions. These factors could result in a reduction in EU wide competition litigation in the UK. How do UK companies perceive arbitration centres such as Singapore, Dubai, Abu Dhabi and others? Singapore, Hong Kong, Dubai and Abu Dhabi are all gaining increasing recognition as alternative jurisdictions in which to conduct arbitrations. Companies with significant business interests in the MEA and Pan-Asian jurisdictions may want to consider these jurisdictions for arbitration. Singapore has been proactive in attracting potential disputes with innovations to arbitral procedures that appear to have influenced the established institutions such as the ICC and the LCIA. For example in 2010 the SIAC introduced an expedited procedure and last year adopted a summary disposal procedure. The ICC reacted by revising the ICC Arbitration Rules in 2017 to incorporate expedited proceedings which apply automatically to any arbitration in which the amount in dispute is less than USD$2 million. In addition Singapore, and latterly Hong Kong, have also opened up their jurisdictions to third party funding attracting further users of dispute resolution services to their shores. However, these innovations have not led to a withdrawal from the traditional jurisdictions and arbitral institutions. Surveys point to the continued preference for arbitrations seated in London, Paris and New York and with English law being used in 40% of all global corporate arbitrations, London is still the leading preferred centre for arbitration favoured by 47% of respondents in the 2015 International Arbitration Survey undertaken by Queen Mary University of London. It compares with 38% favouring Paris, the next most-popular seat. The survey also found that 90% of respondents prefer international arbitration as their dispute resolution mechanism, either as a stand-alone method (56%) or together with other forms of ADR (34%), so it could be concluded that the strength of jurisdictions such as Singapore show that arbitration as a dispute resolution method is simply growing, rather than traditional jurisdictions or institutions going out of fashion. From an Indian perspective, we see that Indian parties are increasingly arbitrating in Singapore not least because of its relative geographic proximity but that for them London remains an important seat for larger international arbitrations. 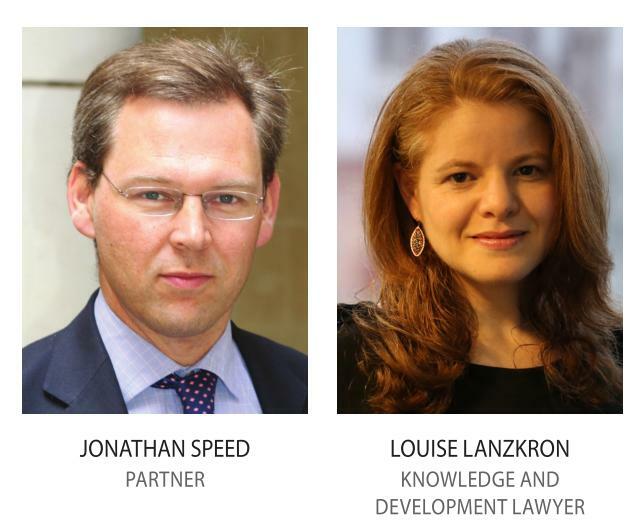 What is the current state of litigation funding in the UK? Has it successfully reduced litigation risk or have there also been unintended consequences? Whilst some still view third party litigation funding in the UK as “at a relatively early stage in its development”6, it is undoubtedly developing rapidly with new funders entering the market and all involved looking to ‘invest’ and make money. In the UK, the legal professions reaction to litigation funding has also changed. It used to be seen primarily as a vehicle for those with limited access to funds to bring claims but now it is part of the dialogue with clients who are looking to spread some of their litigation risk in ‘big-ticket’ litigation. The government appears to have been supportive by confirming that it has no plans to formally regulate third party providers of litigation funding. Instead funders are encouraged to seek membership of the Association of Litigation Funders of England & Wales, and those who do seek membership, must sign up to the Association’s Code of Conduct for Litigation Funders. So in this regard, the market is quite mature. The courts are also increasingly putting their weight behind the concept with the UK Supreme Court confirming in 2016, and the Court of Appeal concurring in 2017, that third party funding of litigation is a normal and usual way to conduct litigation7. And in the context of international arbitration the English Commercial Court made a seminal decision in 2016 upholding an arbitrator’s decision to allow a successful party in an ICC arbitration to recover the costs of their funding, not just their legal costs. This decision has been seen as opening up the third party funding of disputes to a global market and further cementing the appeal of London as a leading ‘go to’ destination to settle disputes with an international element. What do you think will be the future role of litigation funding, if the upsurge continues? We consider that litigation funding will continue to play an ever increasing role in helping companies and individuals to commence litigation (whether as a claimant or as a counter claimant). This is especially the case in specific sectors such as the financial services sector where claims by individuals, for example for mis-selling of financial products are becoming increasingly common, often backed by litigation funding. Competition damages claims are another area where funding is booming (subject to post Brexit concerns as outlined above). As the market continues to grow we consider that the price of taking out funding will start to decrease but the way that litigation will be financed will be subject to increasingly complex finance models which will reflect the sophistication of the clients opting to fund litigation by these structures. What are the biggest hurdles (or developments) to enforcing awards (either arbitral or litigation) in the UK, if any? The UK has a long established and clear system for enforcing court judgments and arbitral awards handed down or given in other jurisdictions. But all roads appear to lead back to Brexit. When the UK withdraws from the EU it will be leaving a civil judicial cooperation system widely acknowledged to provide predictability and certainty regarding the laws which apply to cross-border relationships, the courts which are responsible for implementing those laws and the ability of citizens and businesses to rely on decisions from one country’s courts in another state. Enforcement of court judgments is one area which will be subject to change on Brexit unless the UK government and the EU can reach agreement on this topic. The UK government would like to see a system which replicates the current system of reciprocity operating between EU member states however, this is not simply a question of enshrining this part of EU law into UK law because the EUW Bill is domestic law and does not amount to legislating with other countries. Enforcement will need to form part of the agreed negotiations with the EU. If there is no agreement, on Brexit day the EU law relating to enforcement of court judgments will no longer apply and the UK will be left with a mixture of bi-lateral treaties, Conventions and the common law. However, this only applies to court judgments given by EU member states. England still has the advantage of having reciprocal enforcement arrangements with most former Commonwealth countries including India and Canada so still has advantages over other jurisdictions and there will be no change to those arrangements. Likewise, the enforcement of arbitration awards following Brexit will not be affected. Jonathan Speed is Partner in the International Dispute Resolution team at Bird & Bird. He has over 20 years’ experience of representing corporate clients in contentious commercial disputes often with a cross border element. He has a particular focus on disputes in the communications and technology sector, including advising on risk and contract management issues in relation to major technology projects. Louise Lanzkron is Knowledge and Development Lawyer for the International Dispute Resolution team at Bird & Bird. She uses her expertise to keep abreast of key developments in case law and procedure covering both litigation and arbitration in order to advise clients on the practical implications of these issues by way of briefings, seminars or tailored training on particular changes in the law or matters of interest. 1. Taken from para 1 of a speech given by Sir Terence Etherton, Master of the Rolls on 14 June 2017. I am a middle-aged Attorney, but calling a bill, the 'EUW' bill! :) The choice of name is funny each time you hear it. On a serious note, perhaps its better to refrain from structuring new businesses in UK altogether till the time of definitive deciphering of applicability of EU laws in UK at the present moment! Wrong to compare UK to African countries, but had to do so keeping the 2011 England Riots in mind - I always advice my clients to stop in times of turmoil, always advisable to avoid legal risks that may have any major financial impact. It is all a matter of a group of Brexit supporters defying EU law spreading across UK like the 2011 riots did - that would be the trigger and you would know where you first read about it!